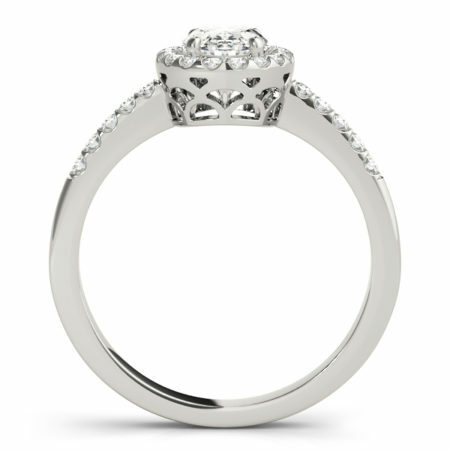 We specialize in crafting the finest diamond rings, engagement rings and custom jewelry in Winnipeg, Manitoba. Our expert team will work with you directly to choose the perfect diamond, sapphire or precious gem and craft a wonderful custom ring for you or your loved one. In today’s article we would like to show you 5 new diamond halo rings available. Read on to learn more! Diamond rings with halos are probably the number one most popular ring style that we receive requests for on a regular basis. As a favourite feature in many celebrity engagement rings, it seems that the enormous amounts of sparkle created when a brilliant centre stone is surrounded by a ring or two of dazzling smaller diamonds is a favourite feature among many couples. Although some people like to bring in their own ideas for their custom jewelry designs, many times it is helpful to either select a diamond ring from our catalogue or use one of our predesigned styles as inspiration for something completely new. Here are 5 exciting new diamond halo rings available in our catalogue! 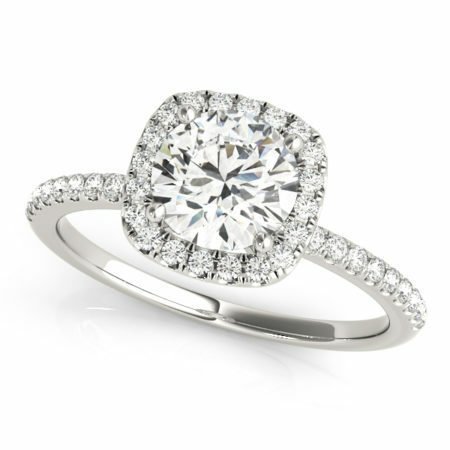 As mentioned previously, oval engagement rings are trending enormously right now! There is something about the soft and sleek look of an oval cut diamond that has made this diamond cut a favourite on instagram and social media. 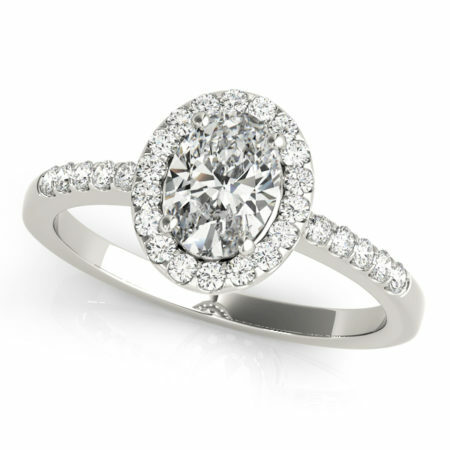 The above design features an exceptional oval diamond set in a modern halo, side stone design. To view more oval diamond halo rings be sure to check out our previous article on oval engagement rings HERE. Next to ovals, cushion cut diamonds are another big favourite among our clients and many young couples alike, The above cushion cut engagement ring features a delicate halo and tapered band. 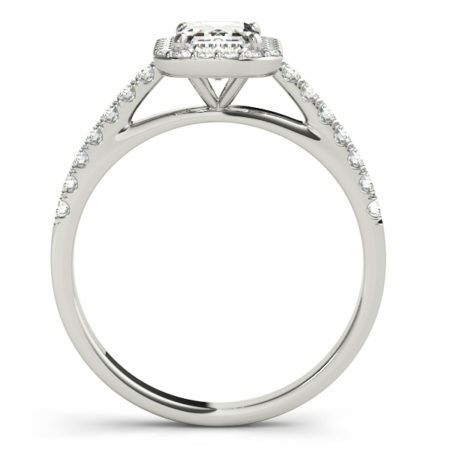 Another beautiful feature of this design is the sleek bridge which meets to create three symmetrical triangles under the diamond, making this ring a sight to behold from all angles. 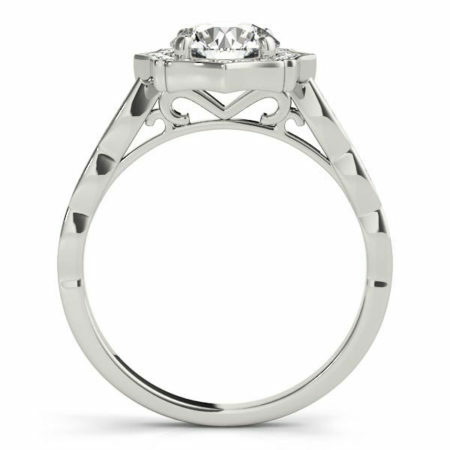 Keep in mind, custom is our speciality and this means you can combine aspects of all of our designs to create the perfect custom engagement ring for you or your loved one. The bridge of the ring is a perfect spot to take advantage of when it comes to customizing your ring and can be a great spot for adding hidden gems and details. 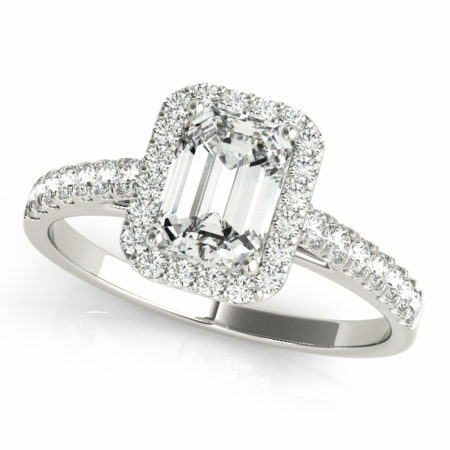 This ring features a beautiful emerald cut diamond, an exquisite shape also known as a step cut known for its unique optical effect. While the above design features a modern halo side stone style, emerald cut diamonds can look wonderful in a variety of different styles from vintage to solitaire. 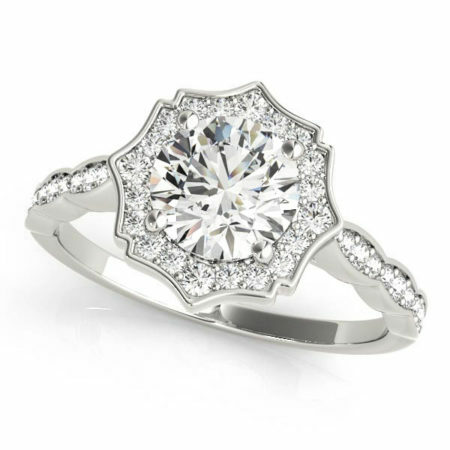 The above diamond ring has been crafted in a vintage or antique inspired style. As mentioned in previous blogs, vintage engagement rings are incredibly popular at this time, possibly due to so many tv shows and movies set in to 20s and 30s such as Downton Abbey and The Great Gatsby. For more vintage style inspiration be sure to check out this article on 13 non traditional celebrity engagement rings. 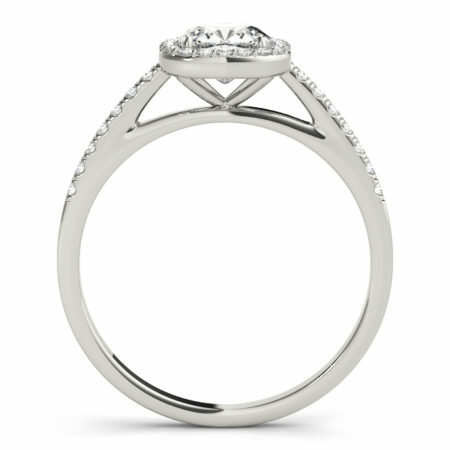 Last but not least we have this simple, yet elegant round diamond halo style engagement ring. This style has often been used as the base for may custom designs. Starting with this design will allow you to make many personalized modifications such as adding a gem or diamond to the bridge or even swapping out the centre diamond for a beautiful ceylon sapphire. The options are endless! Thanks very much for checking out this article on 5 excellent new diamond halo rings. 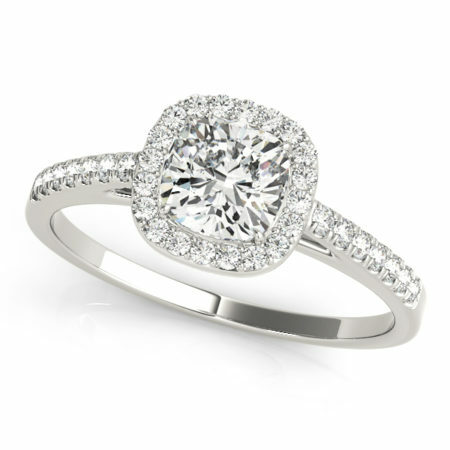 We hope you have enjoyed checking out these exciting new diamond ring styles. 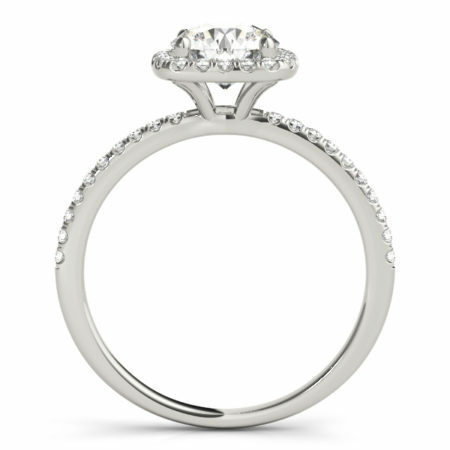 Feel free to contact us to book your free appointment with our designer and diamond specialist at any time. In the mean time follow us on facebook, twitter or instagram!